Have you ever battled your way uptown during Manhattan rush hour in a thunderstorm? I don’t suggest it. Slick subway stairs combined with hoards of people and topped off with you showing up to the MSBA Office Field Trip looking like you’ve gone through the car wash cycle once or twice is a lethal combination. Being the second time I experienced this deluge, you would think I would have learned to read the weather report or bring an umbrella. But alas, no. Picture this: the entire MSBA squad trudging into the Starbucks adjacent to DKC with water-filled shoes, damp clothes, and frizzy hair. We were a sight. Stuffing our large group into four elevators, we traveled upstairs to meet the DKC team: Tamarah Strauss, Max Puro, and Jordyn White. As a public relations firm, DKC does more than the commonly perceived notion of only writing press releases; they utilize strategy, client relations, media relations, content creation, and much more. Public relations garners more power than most understand. The DKC team showed us a Washington Post article they facilitated getting to print. The article highlighted Shawn Springs, retired Washington Redskins player, and his career’s multiple concussions, which inspired his business specializing in impact protection technology, Windpact. When he wanted to boost funding efforts and raise awareness for Windpact, DKC’s ability to get that story to a major publication like the Post enabled Springs to get the exposure his company needed, and thus, funding. Pretty awesome. Driving home the most important point, Tamarah emphasized the importance of your connections, relationship-building skills, and your network. Those contacts will be your support in your professional and personal lives. Actually, Tamarah interviewed me for my internship when she was at M&C Saatchi. Staying in touch since I have been in The City, her guidance and friendship have been ever appreciated. And she’s a SEC grad, like me, so even better. Saying our goodbyes after the presentation, Lorne and Bailey took the graduated seniors down the street to Flatiron Hall to discuss our next career steps. The still-drizzling rain paired with the pub’s poorly lit corner table set the scene for the ominous realization that the six of us were adults now and real life was about to hit fast. Lorne leveled with us quickly – it was go-time. Being July 17th, we had 18 guaranteed days left in The City, and the opportunities had laid themselves out for us. Now, we have to connect those points. Our journeys are just beginning and there is so much possibility. The thunderstorm outside mirrored this new unknown journey in which we were about to embark. 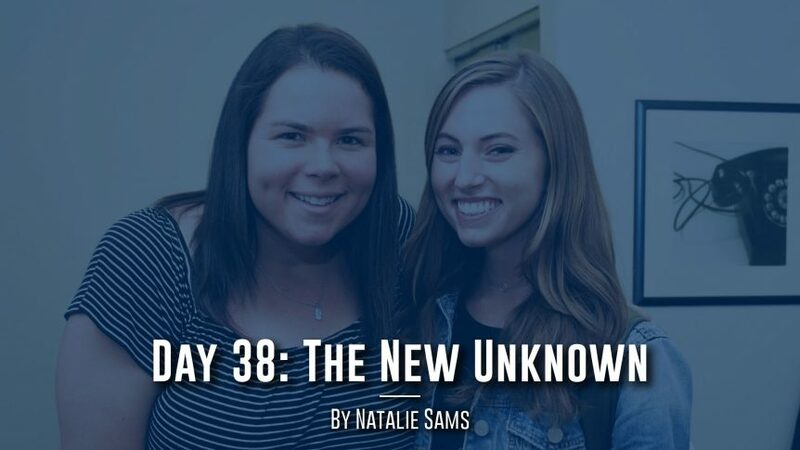 This new “unknown” is uncomfortable and could come out of nowhere, possibly at a slope and smack you in the face. However, the “unknown” can bring new experiences and opportunities. Thunderstorms are the same way. Andrew Zingone addressed the table, “you’ve got to grind, put in the work, sleep on the couches, and make it work because the reward is worth more than any of the adversities you encounter.” And of course, he is right – Zingone usually is. None of the dreams and careers we envision for ourselves will come to fruition if we are too scared or nervous to pursue them, by all means possible. To do that, you have to get uncomfortable, take the hits as they come, keep moving, and get stronger. In other words, go into the thunderstorm and find your network to weather it with you. Oddly enough, since I barely knew these people six weeks ago, there is no other group of people I would rather be trapped in a thunderstorm with. These are my people, and this is my network.